Everyone that truly knows me knows how bad I am at finishing series – in fact, I can only think of two completed series that I have read in entirety: ‘Harry Potter’ and ‘The Hunger Games’. Something’s gotta give. Whilst it took me a while to get used to the language and tone of the series, I really enjoyed these action packed, quick reads. I’m at a loss as to why I’ve yet to pick up the final installment. I absolutely loved ‘Divergent’, but I thoroughly loathed ‘Insurgent’, as I felt the plot was weak and unbelieveable. As a result I’m uncertain when and whether I’m going to pick up the conclusion of this series. I really enjoyed the first two books in this series, but despite them being middle grade novels, I find myself unable to marathon them. I’m fully intending on continuing with this series, and then progressing onto Rick’s other books. I’ve read the original trilogy multiple times, but when the fourth volume was released I found myself unable to read it. I’m slowly working my way through the series once more, so this time I vow to read the conclusion. I adored the Alex Rider series when I was younger, and I am currently in the process of re-reading the entire series, so that I can relive the memories of the first six books, and discover Alex’s new adventures from the final four. 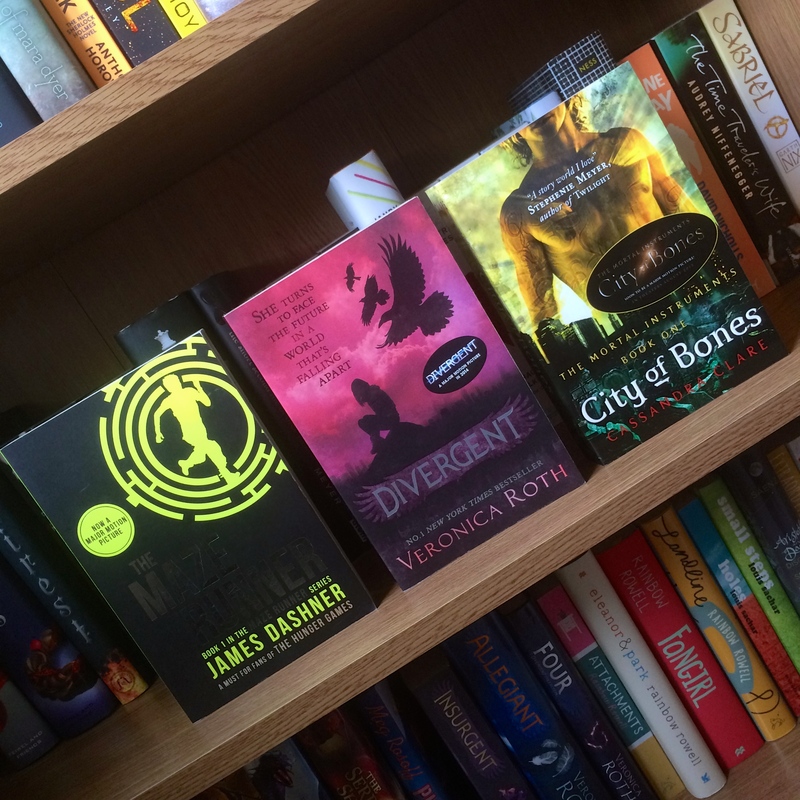 I read ‘City of Bones’ earlier this year and wasn’t blown away – it was just ok. I felt that there were too many characters, but that it was very action packed, so I’m going to attempt at least one more book in this series before I make my mind up. ‘Anna’ was a really cute, quick read, but I really disliked ‘Lola’. I’m definitely going to complete the series though (with ‘Isla’) because I’m holding out hope that it’ll be another cute contemporary. Like most people, I’ve only read ‘The Lion, the Witch and the Wardrobe’, which by my understanding isn’t even the first book in this series. I may one day – probably if/when I have children – read all the books in order. A thirteen book series is definitely intimidating, and I didn’t love either of the first two books. I’m going to read number three (probably this year) and then decide where my feelings lie with regards to these novels. Simply put, I thought ‘Eragon’ was boring, and I’m almost certain I’m not going to continue on with the series. I usually like to give series a second chance, but these books are too long to waste away my life on. You truly don’t finish series, do you? 😉 Glad to hear you’ll pick up “Isla”, it was my favorite of the bunch. Great list this week. Happy reading. I genuinely can’t marathon series, and by the time I’m willing to pick up the next book, I’m usually reading something else. It’s just the way my reading habits work – as though there are impending releases. I didn’t finish Divergent either, as well as the book Isla and the Happily Ever After.